You never know which market segments will outperform from year to year. By holding a globally diversified portfolio, investors are well positioned to seek returns wherever they occur. Trying to correctly time your entry point to the market is difficult, and unfortunately humans have an instinctive desire to take control and make a change when things aren’t moving in the direction we want. The problem is that what appears to be an intelligent alternative may actually be a distraction. Remember, hindsight is twenty-twenty. 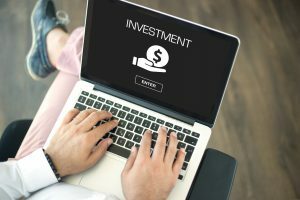 There are always short-term investments that do better than a balanced portfolio, but chasing returns is dangerous. What works is having a successful investment strategy and the discipline to stick with it. Market timing is a seductive strategy. 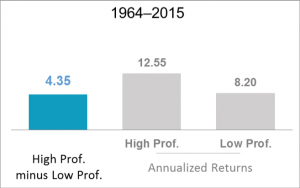 If we could sell stocks prior to a substantial decline and hold cash instead, our long-run returns could be exponentially higher. But successful market timing is a two-step process: determining when to sell stocks and when to buy them back. I can think of a couple of examples where getting these two key things correct would have been extremely difficult and maybe even impossible. First, leading up to the presidential election in 2016, everyone predicted that a victory for Donald Trump would send the stock market into a tailspin. Nearly every media outlet predicted a market crash if Trump won, and many investors took the advice and withdrew. Yet after some brief jitters following Trump’s win, the stock market kept marching skyward. By the time Trump clinched the presidency, the market rallied and closed the trading day 256 points higher. And let’s not forget the Brexit news of a couple of summers ago. Wasn’t Britain’s exit from the European Union finally the trigger of the next Stock Market crash? If you read the headlines and listened to the noise, you may have sold your stocks that June when the DJIA was just over 18,000. Four days after Brexit, the market stabilized and began its steady incline. So how do we get our egos and emotions out of the investment process? One answer is to distance ourselves from the daily noise by appointing a financial advisor to help stop us from doing things against our own long-term interests. Investment advice is not about making predictions about the market. 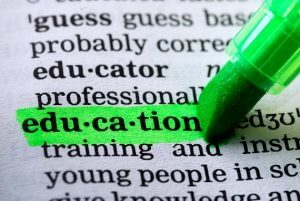 It’s about education and diversification and designing strategies that meet the specific needs of each individual. Ultimately it’s about saving investors from their own, very human, mistakes. What often stops investors from getting returns that are there for the taking are their very own actions—lack of diversification, compulsive trading, buying high, selling low, going by hunches and responding to media and market noise. An advisor begins with the understanding that there are things we can’t control (like the ups and downs in the markets), and things we can (like proper diversification, rebalancing, minimizing fees, and being mindful of tax consequences). Most of all, an advisor helps us all by encouraging the exercise of discipline—the secret weapon in building long-term wealth. Working with markets, understanding risk and return, diversifying and portfolio structure—we’ve heard the lessons of sound investing over and over. But so often the most important factor between success and failure is ourselves. Do you have a plan for navigating the “media noise”, and avoiding the temptation to time the market? It’s not enough to diversify by security. Deeper diversification involves geographic and asset class diversity. Holding a global portfolio helps to lower concentration in individual securities and increase diversification. Over long periods of time, investors can benefit from consistent exposure in their portfolios to both US and non-US equities. While both asset classes offer the potential to earn positive expected returns in the long term, they may perform quite differently over shorter cycles. The performance of different countries and asset classes will vary over time, and there is no reliable evidence that performance can be predicted in advance. An approach to equity investing that uses the global opportunity set available to investors can provide both diversification benefits as well as potentially higher expected returns. The global equity market is large and represents a world of investment opportunities. Nearly half of the investment opportunities in global equity markets lie outside the United States. Non US stocks including developed and emerging markets, account for 47% of world market cap and represent more than 10,000 companies in over 40 countries. A portfolio investing solely within the US would not be exposed to the performance of those markets. 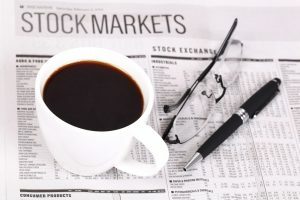 However, when Americans talk about the stock market, they’re generally referring to the Standard & Poor’s 500 index or the Dow Jones industrial average. But these indices represent only one part of the available investing universe. The total U.S. stock market makes up only about 53% of global market capitalization. 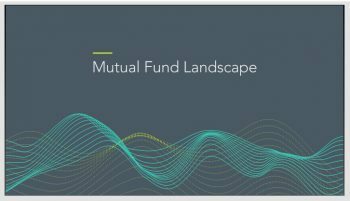 Yet, on average, U.S. mutual fund investors possess a home bias, with a disproportionate amount of their portfolio invested in the United States. If their portfolios were balanced according to world market capitalization, about half of their assets would reside in non-U.S. stocks. This “home bias” leads to less diversification, and as a result, greater volatility with lower returns. It’s well know that concentrating in one stock exposes you to unnecessary risks, and diversifying can reduce the impact of any one company’s performance on your wealth. From year to year, you never know which markets will outperform, and attempting to identify future winners is a guessing game. Diversification improves the odds of holding the best performers, and by holding a globally diversified portfolio, investors are positioned to capture returns wherever they occur. Today’s Video: How Much Should You Save For Retirement? So many investors search for the answer to this question! 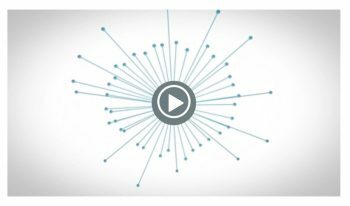 This video discusses important factors that can help you meet your goals – like determining your savings rate, monitoring your progress, and making adjustments over time. 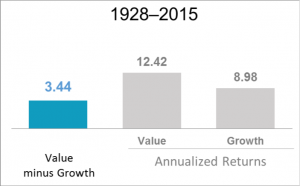 Consider the Drivers of Returns! Throughout history, many of the greatest advancements in finance have come from Academia. Our investment philosophy has been shaped by decades of research by leading academics. 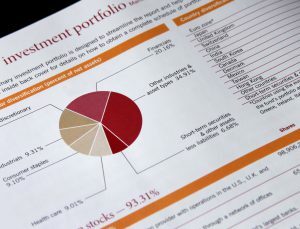 We structure portfolios on the principles that markets are efficient; that returns are determined by asset allocation decisions, and that portfolios can be structured around dimensions of expected returns identified through academic research. It is through our strategic partnership with Dimensional Fund Advisors, a leading global investment firm that has been translating academic research into practical investment solutions since 1981, that we can pursue dimensions of higher expected returns through advanced portfolio design, management, and trading. 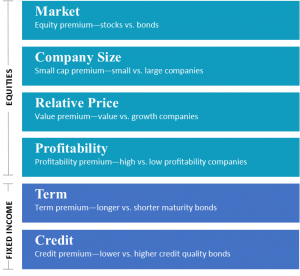 Much of what we have learned about expected returns in the equity and fixed income markets can be summarized in these dimensions. 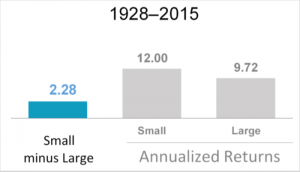 Among stocks, expected return differences are largely driven by company size – small companies have higher expected returns than large companies. Relative price – low relative price “value” companies have higher expected returns than high relative price “growth companies. Profitability – companies with high profitability have higher expected returns than companies with low profitability. Since 1981, Dimensional has incorporated rigorous academic research on the capital markets into the design, management, and trading of clients’ portfolios. Some of the major milestones in academic research shown in the chart below have had a profound effect on our investment philosophy. Our enduring philosophy and deep working relationships with Dimensional and the academic community underpin our approach to investing. 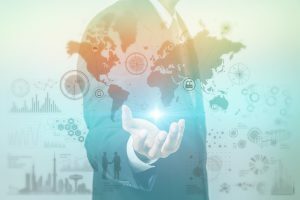 Over a long period of time, Academics have been able to identify dimensions of higher expected returns, and with Dimensional, we can structure portfolios around these dimensions in a very cost-effective manner. Have you ever heard the term “Financial Science”? A strong belief in markets can free people to think and act differently about investing. By evolving with advances in financial science, our partner, Dimensional Fund Advisors, has delivered long-term results for investors. 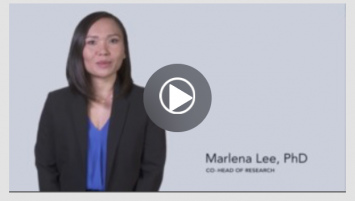 Check out today’s video on applying Science to your investing strategy! Contact us today if you’d like to learn more about financial science and our partnership with DFA! 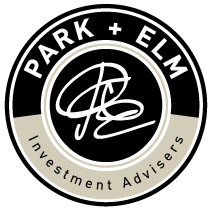 Park + Elm Investing Principle #4: Let Markets Work for You! Principle #4 is HERE! Let Markets Work for You! The financial markets have rewarded long-term investors. People expect a positive return on the capital they supply, and historically, the equity and bond markets throughout the world have provided growth of wealth that has more than offset inflation. Companies compete with each other for investment capital, and millions of investors compete with each other to find the most attractive returns. This competition quickly drives prices to fair value, ensuring that no investor can expect greater returns without bearing greater risk. The chart below shows how the growth of $1 is affected by the level of risk an investor is willing to take. 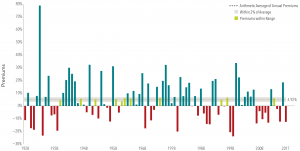 It also shows that any level of risk taken has historically outpaced inflation. 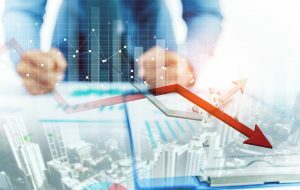 Many investors and investment managers strive to beat the market by taking advantage of pricing “mistakes” and attempting to predict the future. Too often, this proves costly and futile, due to holding the wrong securities at the wrong time, meanwhile, markets are succeeding. Instead of allowing the media to sway you into making impulsive and reactive decisions about your investments, or gambling on hunches, why not let the markets work for you? When you try to outwit the market, you compete with the collective knowledge of all investors. By harnessing the market’s power, you put their knowledge to work in your portfolio. Markets integrate the combined knowledge of all participants, and enables competition among those who voluntarily agree to transact. We believe that all of this powerful information drives security prices to fair value, and that differences in performance are largely attributed to asset allocation decisions, and differences in average risk. We know that investing in the market means taking risks. We also know that not investing means taking risks, because your money today will buy less in the future. We want investors to incorporate the vast, complex network of information, expectations, and human behavior that we believe markets reflect, into their portfolio design. This powerful view of market equilibrium has profound investment implications.